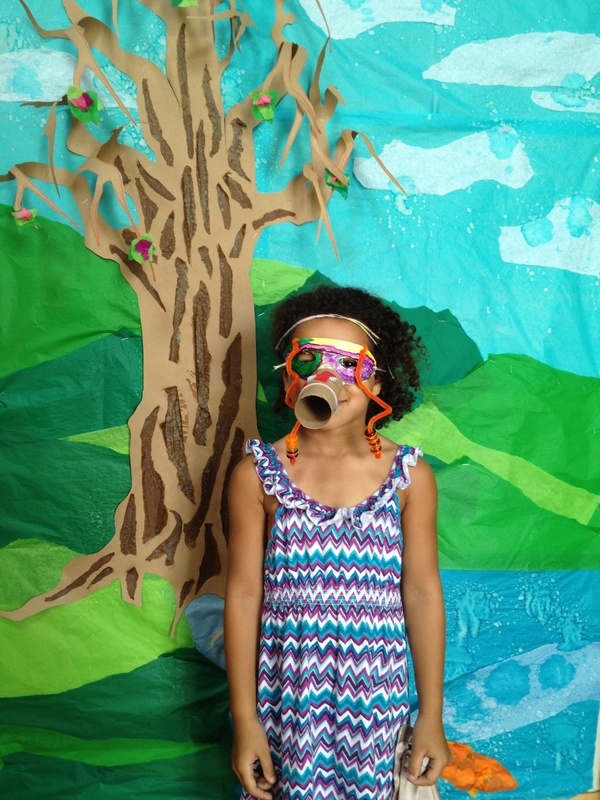 In its second year, Theatre Arts Discovery Camp had kids make giant parade-style body puppets and learn essential theatre skills through improv exercises. This week-long day camp took place in the GPAC during the last week of June, and was run by none other than the managers of the facility, Tom and Lesley. 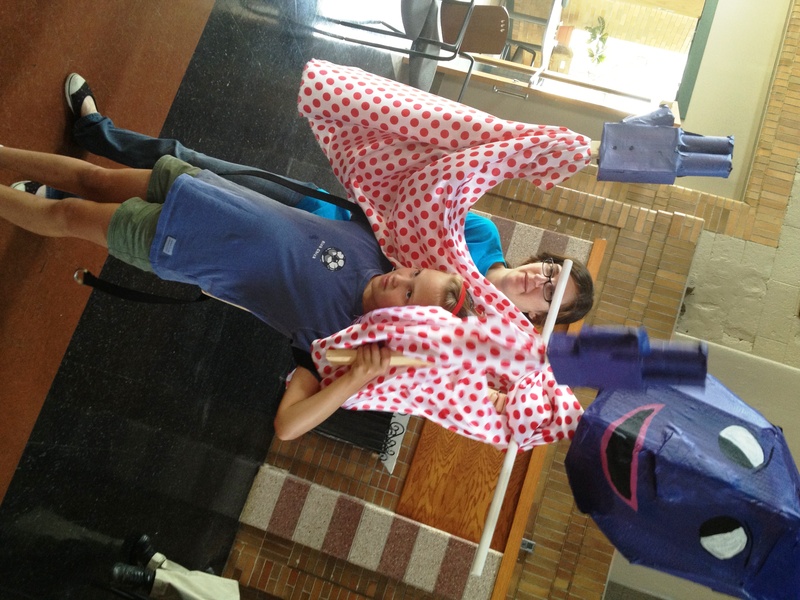 Tom helped campers engineer their giant puppets with lumber, belts, cardboard, PVC pipes, fabric, and papier-mâché. Each puppet had a distinct style and personality, thanks to artful choices of fabric, puppet skin color and facial features. 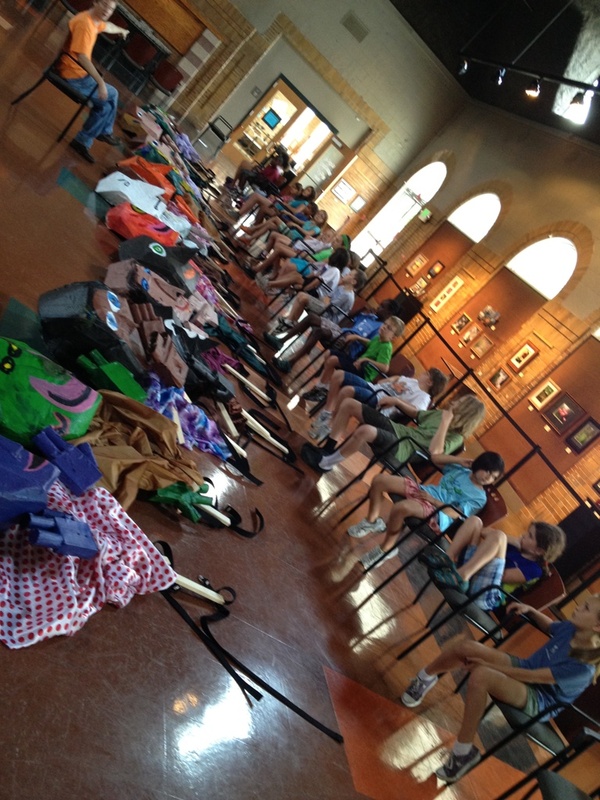 While the puppets were heavy for some campers, all camper/puppeteers were able to wear them in a GPAC Main Gallery parade on Friday for parents and guardians. As part of the parade, the campers were able to show-off their puppeteering prowess by manipulating them to clap, bow, look shocked, appear deep in thought and even give hugs to other puppets! Lesley facilitated the acting portion of Theatre Camp. She encouraged them to explore the many facets of theatre- music, dance, mime, puppetry, opera, a circus and sports. They started out playing low-risk, imagination-based games, then progressed to scenes that give actors lines but no character, place or motivation (something which tells them why they are on stage talking). They had to dream all of that for themselves and it really inspired their creativity! As the end of the week drew near and the kids were finally able to try on the parade puppets, it was clear that they were heavier than some campers would be able to manage for an extended scene. 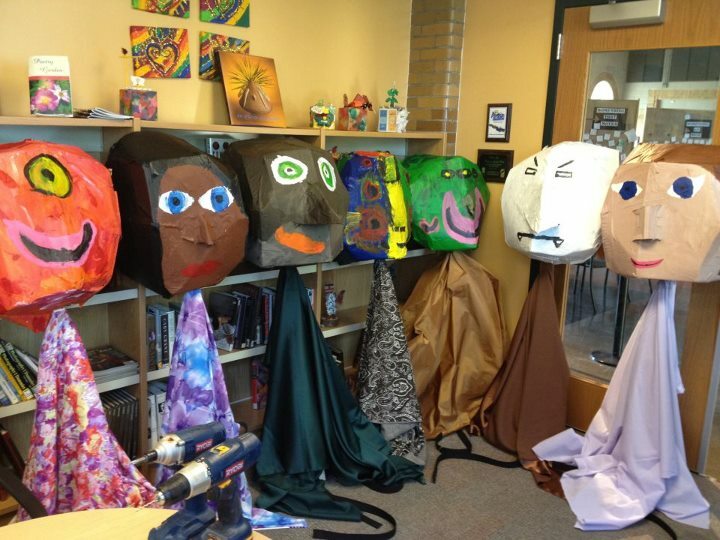 The group had to abandon the idea of a full puppet performance, however the puppet parade was a big hit, and campers are invited to return in September and walk in the Miracle Mile Parade inside their creations. Stay tuned for highlights from our following three summer arts camps: Making Art- Big & Small, Inspired by Nature, and Paint-A-Palooza!